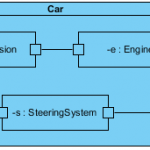 A car consists of different structural components, such as the engine, body, suspension, gearbox, etc. 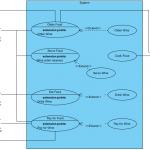 Each component in turn contains its own attributes and operations. 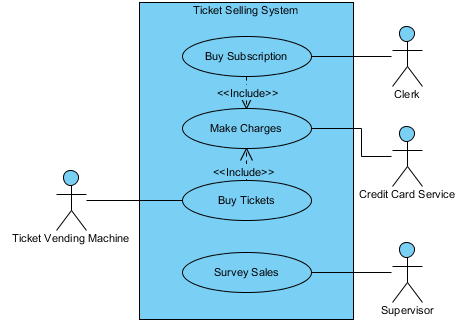 For example, the engine has its capacity, and it can be started or stopped. 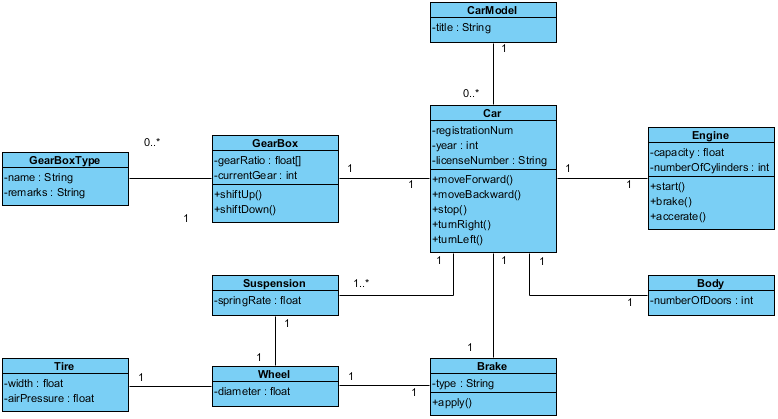 We can represent the car with a class diagram. 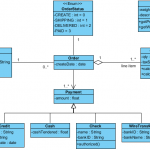 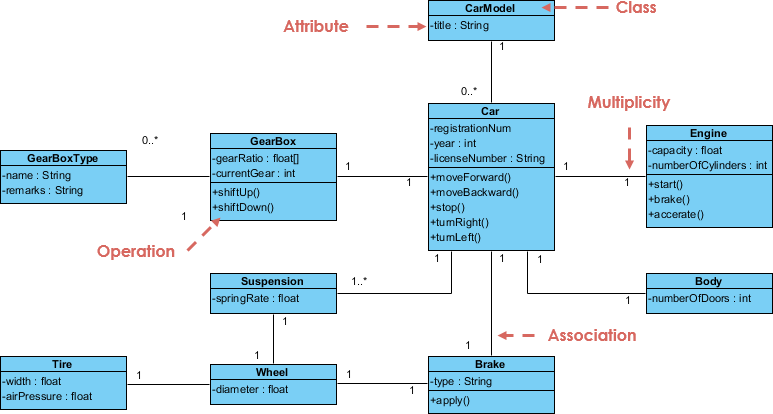 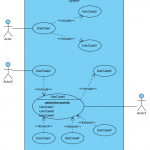 The class diagram example shows a simplified structural model of a car in a class diagram.